Similarly to India, FGM has been a well-kept secret in Pakistan, where even those working in the fields of women’s health have been oblivious to it. Few doctors know about its existence or are shocked when they are first confronted with it, as Irin News found. The practice of FGM in Pakistan was first made public to a wider audience by Farah Zahidi Moazzam, a Pakistani journalist specialized in reproductive health and gender issues. In 2011, she wrote how astonished and embarrassed she was to discover, that FGM was practiced in her homeland. It’s another example how FGM can remain hidden in a country if nobody speaks out – and a fine example why the work of single journalists and activists is so important. The practice of FGM in Pakistan is – similar as in India – strongly connected to the Bohra community. The Boras, a sect of Shia descend, consist of about 100,000 adherents in Pakistan living mainly in the southern province of Sindh and two million worldwide. Traditionally, the cutting was performed at a very young age by midwifes using a nail clip or a razor. It is believed that even today 50-60% of Bohra girls and women undergo FGM. The most common explanation for the Dwoodi practicing FGM refers to the waves of migration of members of the sect through Africa. Bohra religious leaders regard FGM as a religious duty. A fact, that led in 2011 to a widely debated online protest by Indian Bohra activists. Another trace regarding FGM in Pakistan points to the ethnic community of the Sheedi, who just like the Bohra settle in India and in Sindh in Pakistan, but also in Southern Baluchistan. Being descendents of Bantu people in Africa they are believed to have brought the practice with them to Pakistan as slaves in the19th and 20th century. Defenders of the practice in Pakistan emphasize that it is mere “symbolic” or of little impact and more and more done in hospitals or doctors offices (medicalisation of FGM). For example, Dr. Zahra Ali of the Bohra community explains that certified doctors and health practitioners carry out the procedure. She states that it is a merely symbolic wound that has no further impact on women’s health. Such reports about “symbolic circumcision” have to be questioned as long as no further evidence exists. Studies and observations from other countries show that a larger number of so called “symbolic procedures” are anything but symbolic, but in fact excisions or incisions. 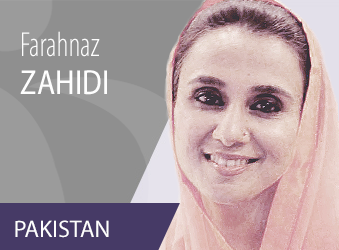 Farahnaz Zahidi: Female Genital Mutilation: Many Pakistani women’s painful secret, The Express Tribune, February 2013.